Tea is a rain-fed perennial crop and is one of the most important beverage crops in the world, supporting livelihoods across the humid regions of south and south-east Asia and east Africa. The eco-physiology of tea plants is closely linked to external environmental and climatic factors (elevation, precipitation, temperature, soil moisture, temperature and fertility, light duration and intensity, humidity, shelter, shade and CO2 concentration) and any adversity in these conditions can significantly impact yield, revenue and livelihood security. The relationship between tea yield and climatic factors implies that long-term climate change will impact the key physiological and developmental processes that determine the yield of tea. Climate risk is high in Assam, ranging from annual flooding of the Brahmaputra River, due to intense monsoon rains and soil water-logging, to winter precipitation deficits with seasonal droughts. Regional trends indicate annual mean minimum temperatures have increased and annual mean precipitation has decreased, particularly in Assam. Regional climate models project continued increases in temperature and a reduction in the number of rainy days, although intensity will increase as will total annual precipitation. Such impacts will have a significant effect on tea crop productivity and directly affect the livelihoods of dependent communities. 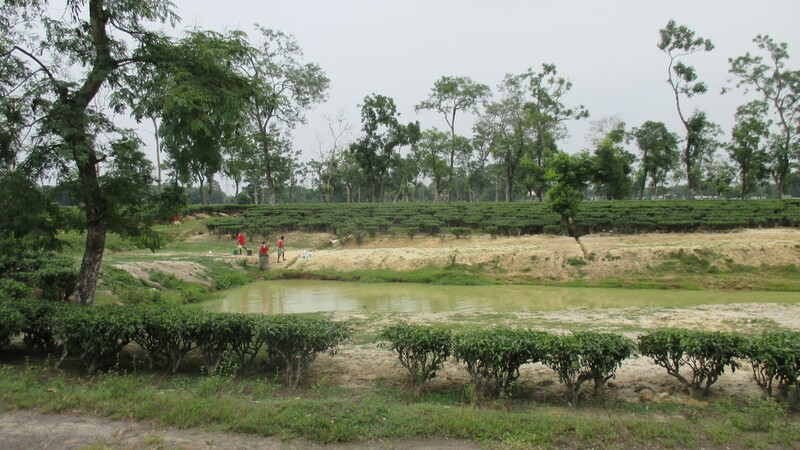 Broad-scale climate-landscape modelling indicates that tea yields in north-east India are expected to decline by up to 40 per cent by 2050. As yield is directly associated with revenue, changing climate is also likely to impact economic structures of those reliant on tea, particularly the smallholders given their increased vulnerability to changes in the system. Poverty is a major social challenge in Assam and with the majority of the population reliant on rural livelihoods, socioeconomic changes in the tea industry, driven by changes in enviro-climatic factors, will have a severe adverse impact on livelihood security.